When all your possessions are on your back, and you’ve got miles to cover–-every ounce counts. If you’ve been on the trail for days or even weeks, gear goes from a luxury to a lifeline. The Bitterroot dry bag lightens your load by reducing the amount of gear you take afield. 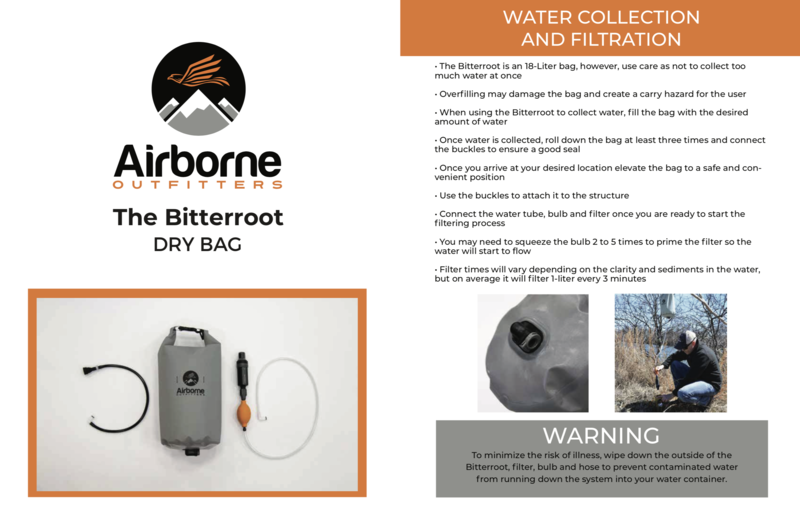 The Bitterroot is an 18-Liter bag made from National Sanitation Foundation (NSF) approved water potable material. 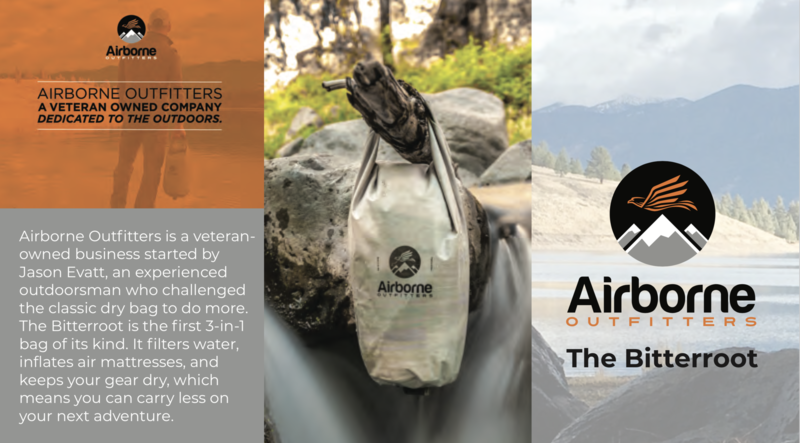 It will keep your gear dry, filter water and inflate your air mattress. At the end of a long hike, the last thing you want to do is huff and puff to inflate your mattress. The Bitterroot can handle this tedious function for you as well. Simply connect the quick disconnect (black hose) to the bag and the other end to your mattress, trap air inside the Bitterroot and roll down the bag to inflate. In less time and without the cold-soaked moisture from your lungs. Ambient air will keep you warmer, longer–all while reducing weight in your pack. Worried about Trade Wars–we’re not! The Bitterroot is 100% American Made—-impervious to Tariffs and all other lame political shenanery.